Do you know this team? 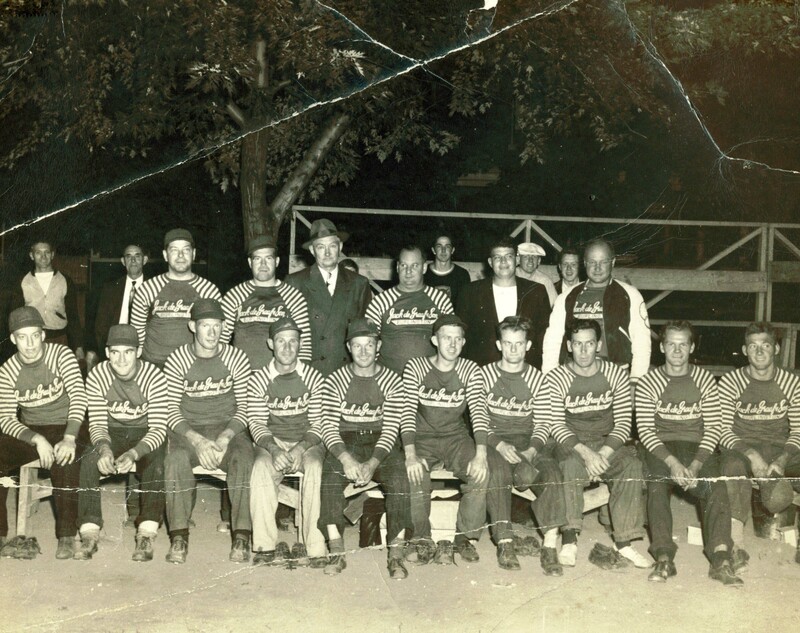 This photo is identified as “Men’s Baseball Team”. It was taken at Lion’s Club Park on Martha, no date indicated. The team sponsor, Jack de Graf is the man in the fedora in the back row. Can you i.d. the men? Did the team have a name? Who was Jack de Graf? So far no luck with this one. I was hoping someone in our group would be able to provide more information but, I guess, none of our sports fans recognized the team.